Learn Magic On A Budget! Magic can be a really expensive hobby. Just ask any magician how much money they’ve spent on magic and they’ll probably admit WAY too much. The truth is, you can learn magic on a budget and still have very professional results! There’s no need to break the bank. In fact, I think that if you play it right, magic is one of the cheapest hobbies out there. That’s exactly what I’m hoping to break down for you within this post. As a beginner magician, you only need ONE item. A deck of cards. Almost 90% of the tricks I perform on a regular basis are done using a completely ordinary deck of cards. I can only think of a handful of exceptions in which I’ve ever needed anything else. Sure, there are plenty other things you COULD buy, but a deck of regular playing cards will give you all the equipment you need to learn magic. This is just, simply put, not the case. 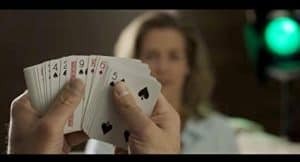 Some of THE best magicians in the world (Juan Tamariz, Dani DaOrtiz, Darwin Ortiz) rely on nothing more than an ordinary set of playing cards and yet have fooled audiences time and time again. 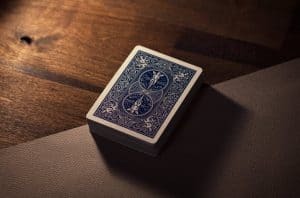 So if you feel like your magic isn’t impressing people as much as you hoped it would, the solution is NOT to go out and buy the fanciest gimmick you can find, but to focus on YOU and your own style of performance. While it’s generally best practice to learn and become confident in magic without relying on too many gimmicks, there are a couple of trick decks that are just too good to leave on the table. One of these is the Invisible Deck. This trick deck allows you to predict the EXACT card a spectator is thinking of before they even think of it. The only drawback is that these decks can end up costing you a lot. Sure, the initial price is fairly low, but sooner or later the gimmick will wear out and you’ll have to buy another one. Luckily, there’s a great way to incorporate this trick deck into your routine without spending too much money. Second Sight uses a similar principle to the Invisible Deck, however has a bunch of advantages. The effect is easier and cleaner to perform, but the best part is that it teaches you how to create your own trick decks. Once you’ve bought this, you’ll never need to buy another Invisible Deck again. Now, don’t get me wrong here. I LOVE online shops like Penguin Magic. But browsing Penguin Magic (and others) as a magician is like placing a four year old in a sweet shop. You might think you can hold out; but you won’t. Eventually one of the awesome looking tricks WILL win you over. Because, let’s face it. The Penguin Magic sales team is REALLY good at what they do. I personally can’t browse for more than 10 minutes before my fingers start twitching toward the wallet. 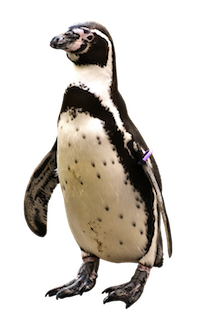 The best way to learn magic on a budget (and avoid going on a spending spree) is simply to avoid going on stores like Penguin Magic in the first place. Rather than buying up new tricks every week, focus on improving your performance and routines using tricks you already own. Now, I know I just told you NOT to browse online magic shops if you’re trying to save money. But, there is definitely one exception to that rule. 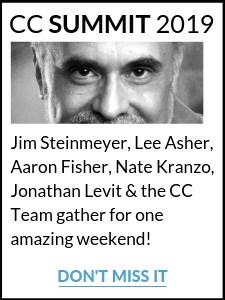 Conjuror Community Live Lectures. 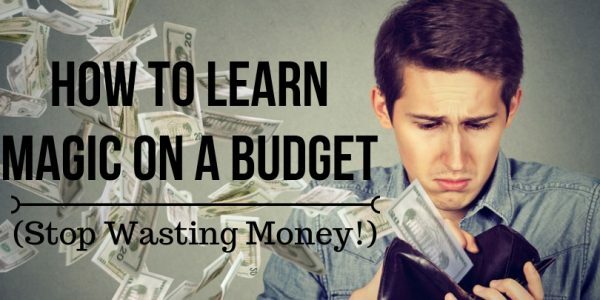 This is one of the best ways to learn magic on a budget… period! For any of you who aren’t familiar with what exactly these are, Conjuror Community Live lectures are live classes given to an audience by professional magicians. These classes can be anywhere from 1 to 3 hours long and are generally packed with tricks, tutorials, tips and much more. These lectures are GREAT value for money; they tend to go for anywhere between $15-30 yet contain priceless information and magic. The average Live Lecture might contain 15 tricks, and perhaps an hour of general advice. Let’s imagine that each trick was being sold for $9.95. That would amount to at least $149.25 worth of magic. Then factor in the fact that you are getting performing advice and wisdom from some of the best magicians alive. If I was bidding to spend an hour getting advice from a magician like Juan Tamariz, you can bet I wouldn’t hesitate to splash AT LEAST $100. So, $249.25 worth of magic tricks and tips all sealed up in one. The fact that you can get these for ten times less than that is just amazing. Plus, once you buy the lecture you have unlimited access to it; you can rewatch it as many times as you want. However, the same advice from my first point goes here. Don’t spend too long browsing all the available Live Lectures because there’s so many of them you’ll definitely be tempted to spend big time. I would advise you to pick ONE lecture and really focus on it; learn all the tricks and really study their advice. An 11 part dice magic course for only $1! These low cost resources are a great way to kickstart your magic without worrying about the cost. Focus on perfecting your magic with ONLY a deck of cards. If you must use gimmicks; create your own. Stop browsing online magic shops! Invest in Live Lectures for lots of magic at premium prices. Benji is both a magician and writer; which basically means whenever he’s not doing magic, he’s writing about it. You can check out more of his work at The Daily Magician! If you have any questions, ideas, or comments for Benji, please leave them below!